I love buying new, legit Thai cookbooks. They always inspire me to make Thai dishes I haven’t tried making, forgot about, or never heard of. 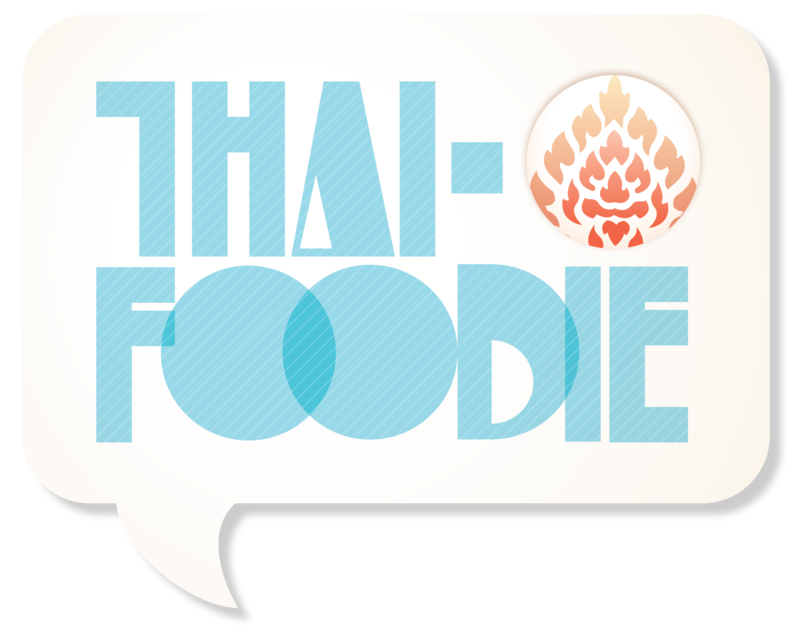 My recent favorite is True Thai by Hong Thaimee. One of my friends I met in Thailand recommended it, and I’ve fallen in love. The way she describes her recipes is so not intimidating, so I’m brave enough to give them a try and always love the result. One of her simple, easy Thai veggie dishes I’ve made at least once a week lately is Thai Stir-Fried Sugar Snap Peas. 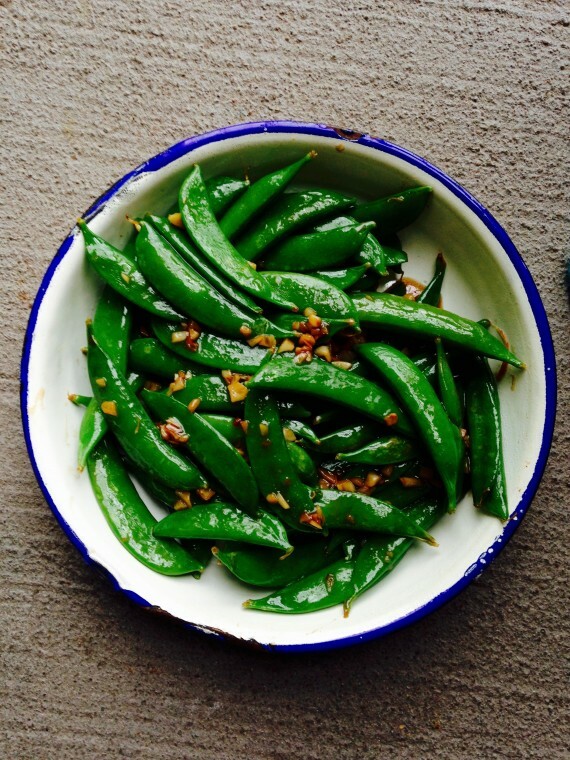 All it takes is 5 ingredients: sugar snap peas, garlic, oyster sauce, sugar and white pepper. And my two toddlers like it, and can’t keep their hands off them! Score! I love that at our grocery store I can just buy a bag of fresh sugar snap-peas all ready to stir-fry, toss it in my wok with some chopped garlic, and a Thai vegetable side dish is done within three minutes. 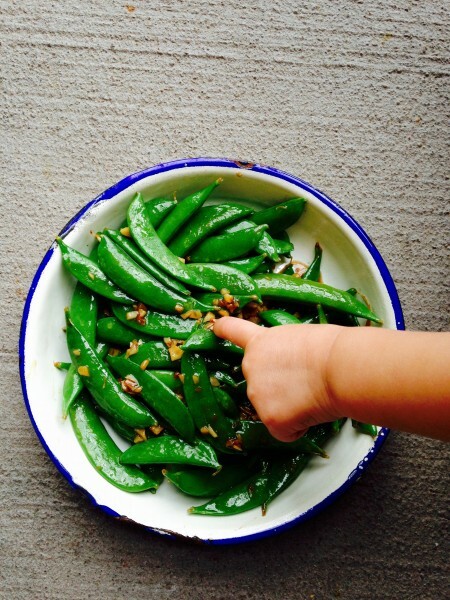 Sugar snap peas with oyster sauce is a super easy Thai veggie stir-fry that toddlers and adults love too! Have these ingredients in a bowl, ready to throw in all at once: the garlic, sugar snap peas, oyster sauce and sugar. Warm about 2 tbsp of cooking oil in a wok or large pan on high heat. Once it's smoking hot, dump the ingredients into the wok. Stir-fry for about 2 minutes, more or less, until the sugar snap peas are bright green, and crisp, don't let them get squishy. Turn off the heat and sprinkle on the white pepper powder to taste. Enjoy alongside any of your favorite Thai dishes with jasmine rice! Yay! So glad you enjoyed it Lisa!